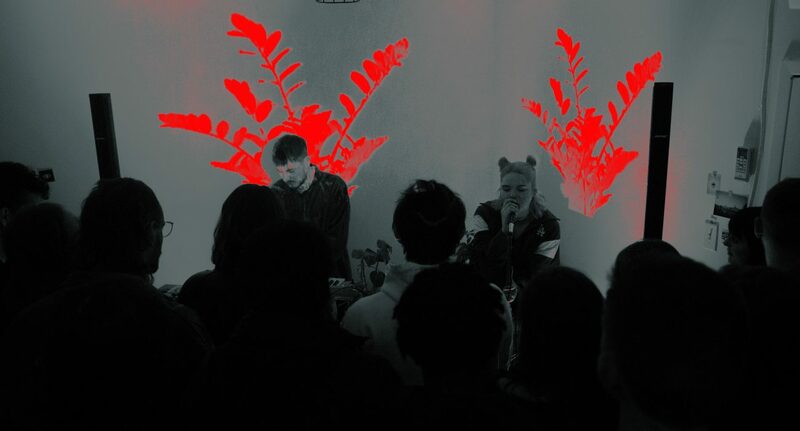 There are few acts around that are able to deliver such exquisitely immersive soundscapes from such an early stage of their career, but the Toronto-based electronica duo Isla Den manage to do so in a way that places them lightyears ahead of their contemporaries. Comprised of Ellie Manning (vocals) and Michael Reale (percussion), the few releases they have to date have been nothing short of genius. The highlight of Water Signs (although choosing one is near impossible), is the track ‘Sunless’. Somewhat of a slow burner, the track graciously moves along with a series of delicate pads and hi-hat snares, creating an all-encompassing hypnotic atmosphere before reaching a dramatic climax. The glitchy ambient track ‘xixi’ at the end of the EP is as soothing as it is jarring and manages to round off the journey and the atmosphere perfectly, returning once again to those wistful samplings of waves and birdsong that greets listeners on ‘We’re All Leaving’. For a debut project, it is staggering how genuinely impressive Water Signs is. The level and quality of production from Manning and Reale is executed so perfectly that they’ve successfully managed to create an enveloping atmosphere and immersive aesthetic in a way that few young artists can. The narrative is never lost to the music, and conversely, their soundscape is never overshadowed by the lyrical and vocal ability of Manning – it’s a perfect, symbiotic relationship. After a few months of silence, Isla Den have returned, with their latest release ‘Navi.6’. It stands as both an elegant continuation and preservation of what made their Water Signs EP so beautiful, whilst also showcasing their ability to develop and explore newer avenues both lyrically and musically. The familiar use of birdsong sampling is an excellent call-back to their previous work and it’s pleasing to see a definitive extension of the aesthetic. Manning’s vocals on ‘Navi.6’ come across as crisper, cleaner, and more elevated above the instrumentation, made more prominent through echoing and pitch manipulations. In turn, production and mixing here is a huge advancement, allowing the track to be brimmed with energy and pop power. It’s a pleasure to see the duo develop their lyrical prowess, too. Whilst the lyrics on Water Signs were gorgeous and well suited to that tranquil atmosphere, on ‘Navi.6’ they are perfectly matched to the more expansive melodies and seem to carry a deeper weight to them. It’s a track that certainly would not seem out of place in the charts. A clear ethos runs through everything Isla Den do – there exists a sincere desire to detach from the chaotic contexts of our modern lives, to retreat to nature and most importantly, reconnect with those around us. And in our current political and social climate, this is needed now more than ever. If you listen to anything new this week, I urge you to check these guys out. With each release, the duo are only getting stronger and one can only imagine what stratospheric heights they’ll be at by the time their sophomore EP drops in the summer.